Since the British public voted to leave the European Union, there has been widespread conjecture as governments across Europe and beyond try to assess the political and social ramifications of the result. There is no question that Brexit has the potential to impact on all aspects of our day-to-day lives, from education to the economy, health and housing, trade and travel, and much more besides. As such, policy makers face a number of challenges in light of the increased responsibility placed on them – as areas of legislation previously under EU competence will soon be decided nationally – at the same time as preserving our global position, links and security. 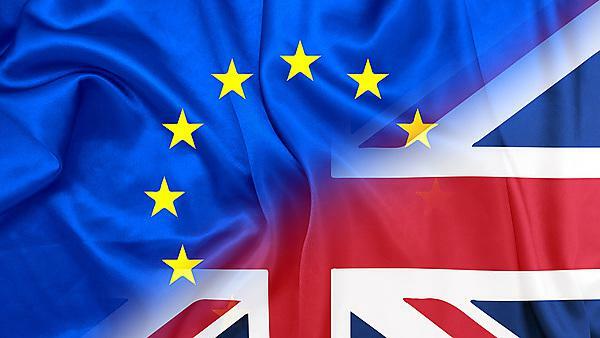 In a new project led by the Institute for Social, Policy and Enterprise Research (iSPER) at the University of Plymouth, leading academics across a range of fields will attempt to shed light on how the referendum result might affect their areas of expertise. These papers have been shared with policy makers and influencers, but if you would like any more information about The iSPER Brexit Series, or are interested in speaking to any of the academics involved, please email isper@plymouth.ac.uk. This paper attempts to outline, at the strategic level, some of the emergent issues, potential threats and likely outcomes for national security from the outcome of the Brexit referendum. To some extent Brexit as an issue in national security has been overtaken by issues surrounding Russian policy and the advent of the Trump administration in the United States. This paper should be read in conjunction with Paper One within the iSPER Brexit series, which outlines a set of unknown issues, continuities and possible outcomes (UK and EU) from the Brexit vote. A further backdrop to the production of this paper is provided by the publication of the report of the Chilcot inquiry on 6 July 2016, which examined the UK’s preparations for the war in Iraq in 2003, and the subsequent handling of operations. This paper outlines some of the co-existing issues which threaten the future of the NHS, and identifies some of the new challenges that Brexit brings to the situation. It has been developed as a collaborative activity between academics from several health professions in order to begin to reflect the breadth of the situation. This paper outlines the relationship between domestic and European employment legislation and the context of the ongoing debate over the future of labour regulation in a post-Brexit UK. This paper’s purpose is to make policy recommendations on the relationship between the UK, developing countries and the European Union after Brexit. The European Union is the major global aid and trade partner of developing countries and all parties have a responsibility to ensure that poorer countries do not suffer from the UK’s exit. The purpose of this paper is to highlight the significance of Brexit for the security/defence and international aid/development domains, and to make policy recommendations with regard to the future of UK international engagement. This paper explores some implications of Brexit for international tax competition and corporate taxation in the UK and the EU. To this end, it first briefly discusses the effects of tax competition on tax rates and revenues and outlines some EU tax initiatives. The paper concludes with some recommendations. This paper outlines the challenges for enterprise education in the UK post Brexit. It maintains that collaboration and knowledge exchange between European and British enterprise research, practice and education is crucial in order to create entrepreneurial mechanisms that foster global collaborations embracing our European neighbours in innovative ways.